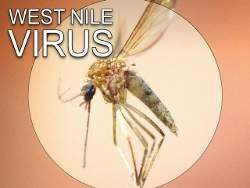 (Santa Ana, CA) – The first human death associated with West Nile virus (WNV) infection in Orange County has been confirmed by OC Health Care Agency officials. The case is an elderly female resident of Tustin who died with WNV infection complications. Symptoms of West Nile fever include fever, headache, body aches and fatigue. Swollen lymph glands or a skin rash can also occur. Anyone who develops the more serious symptoms of WNV neuroinvasive disease such as severe headaches, neck stiffness, confusion, muscle weakness or vision loss should seek medical care immediately. People over 50 years of age and those with underlying medical conditions are at increased risk of serious complications from West Nile virus infection. Contact your primary care physician with any concerns. Information on mosquito control is available on the Orange County Mosquito and Vector Control District’s website at www.ocvector.org. Updated information about West Nile virus infections in Orange County can be found at www.ochealthinfo.com/westnilevirus.